2018.6.15 download STAD Vol.2 NOW! ISTAD published a research journal "Social Theory and Dynamics" . It is a new journal which is the first English Journal on critical sociology to be published in Japan. 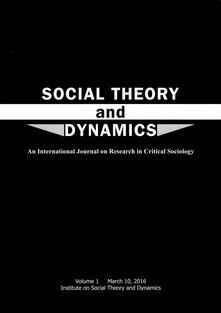 "Social Theory and Dynamics" is an international journal of critical sociology and/or social science, which publishes articles that analyze the contemporary social problems from critical and radical perspectives.